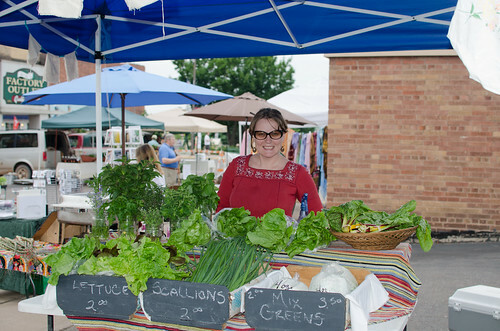 Ashland Farmer’s Market, a photo by Andrea Pokrzywinski on Flickr. Britton, Sean, Quinn and Oona are in there second year of running a booth at the Ashland Farmers market. Their Deep Roots Farm is producing fresh greens and herbs. Britton also makes the best breakfast burritos with hand pressed tortillas. It’s worth and early rise on a Saturday. 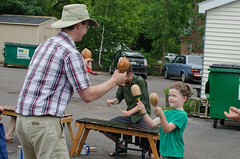 Quinn is also a regular volunteer for the marimba group that plays at the market.